You just got home from the beach and took a refreshing shower. The sun goes down and you can feel the afternoon breeze on your skin. Greeks are in the streets, drinking frappe, speaking loudly and eating meze. The sunset covers buildings in a beautiful shade of orange and you decide to relax in a coffee shop. Arokaria café is not far from the Venetian Harbor and it's the perfect spot for a homemade lemonade! You will recognize it by the pink bougainvillea trees and the colorful tables. It’s a great place to grab a drink with a friend. 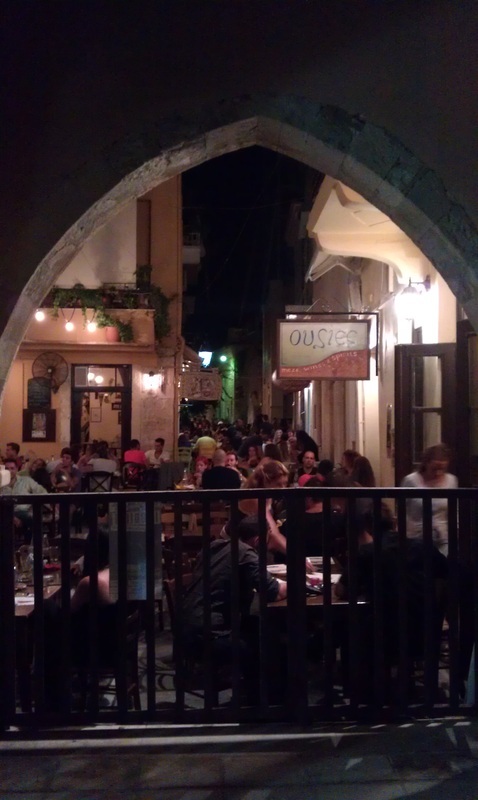 If you sit on the patio you can watch the busy street with Greeks riding on their motorcycles. In the other side of the Old Town, right next to Mikrasiaton Square, you will find another place worth visiting. Figaro café - bar is full of university students and if you are lucky you may catch a band playing live music. The decoration is amazing, especially the painting of a house in the interior. Surrounded by plants, Figaro is almost like a small wonderland. You should definitely try the hot chocolate -it's the best one that I've had in Rethymno. UPDATE FROM THE EDITOR: Since this article was written Figaro has changed ownership and name and as such we can no longer recommend it. By now, you must be feeling hungry. If you enjoy good food, Rakodikeio is the place to be. It's a family run restaurant with homemade style food. It’s quite small and sometimes you may have trouble finding a free table. You can never know what's the daily menu. You will have to enter the kitchen and make a choice. As you check the plates, they will describe them and help you choose. You won’t pay much – small plates are 3€, and the big ones cost 5€. 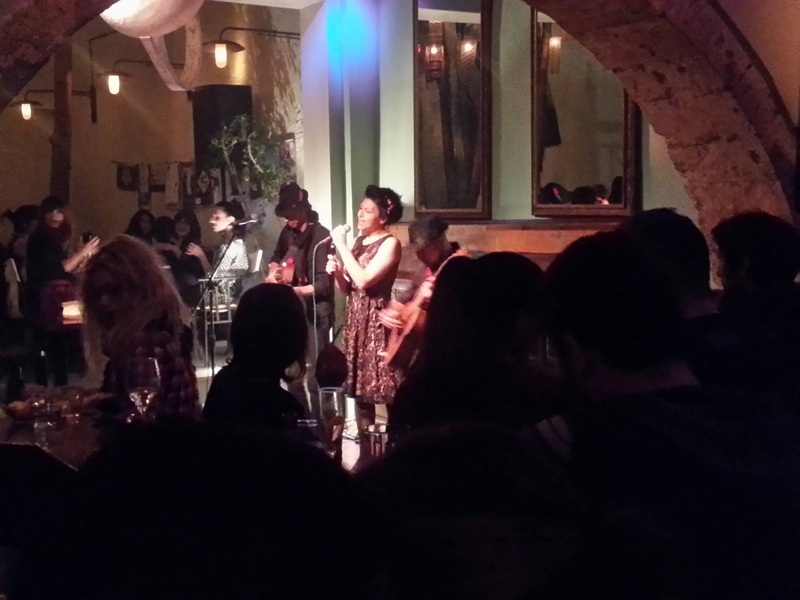 Amazing food, good service, Cretan music – perfect combination to make you wanna come back! When you’re ready to party, you should start in Black Lotus. It’s the pub opposite of Arokaria. They play good rock, indie and alternative music. They have special offers for beer every evening and discounted coffee every morning. It’s a clean and cozy place. You can lounge on one the sofas or at the bar. When you finish drinking in Black Lotus and if you still feel like partying, go to Metropolis. Grab some "free shot" coupons from the ice-cream shop in the corner. In Metropolis, the DJ plays all sorts of music –Greek pop, international and some "Laiko" (usually at the end of the night). Surprisingly, you will find many tourists dancing in Metropolis. Are you done partying? Feeling hungry again? I know just what you need! 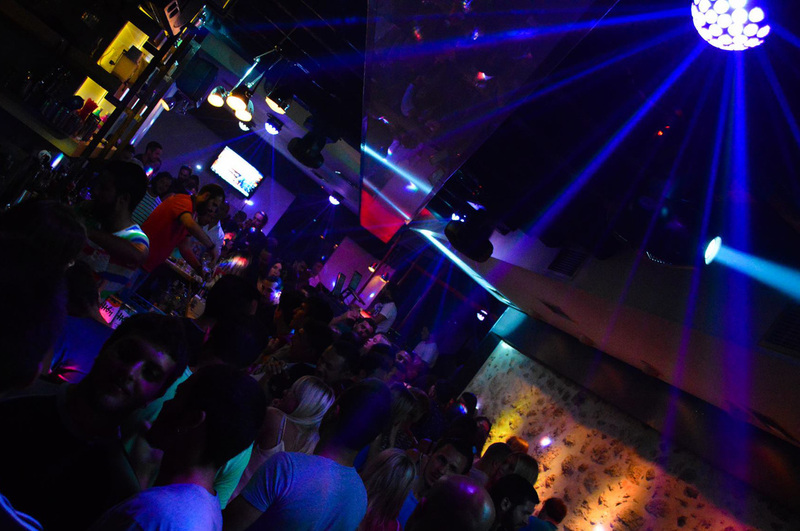 Right next to Rakodikeio, you will find the after-party heaven. 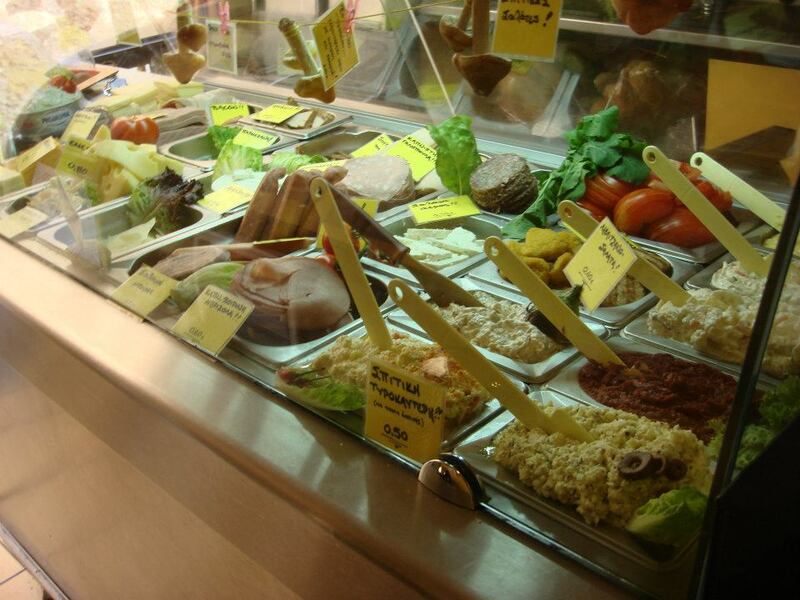 Tyraki is a sandwich place, with a wide variety of ingredients and condiments they make in-house. Some of my friends used to buy two sandwiches at one go -proof that the taste is great. Go home, take a shower, fall sleep, wake up late and go to the beach. Rinse and repeat. 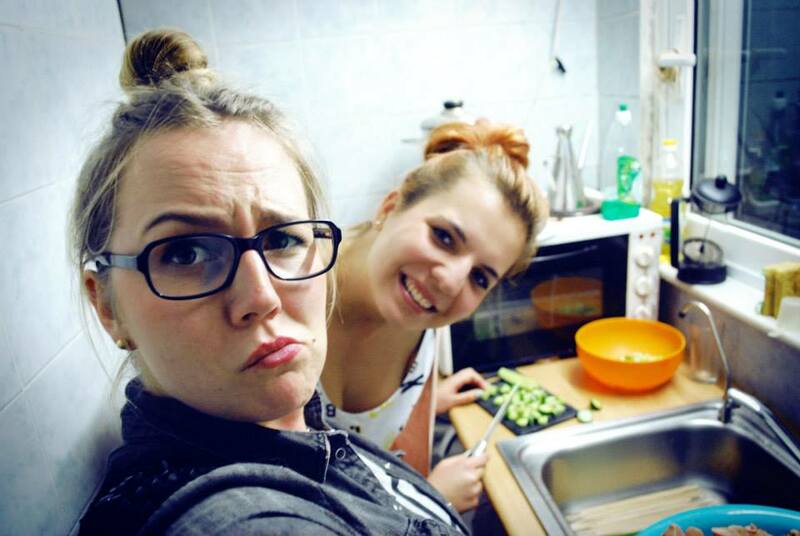 Katarzyna Cieślik wrote this article on behalf of Apartment Old Town. She studied economics in the University of Crete as an Erasmus student and management in Jagiellonian University. She is an avid photographer and has her own blog. The article has been proofread and edited by Valanti. Have a question? Write it in the comment section below! I will always cherish the memories I have from the most beautiful city of Crete. Rethymno was a mystery to me before I arrived but soon I found my way around. I used to get lost until I learnt the narrow streets of the old town like the back of my hand. The lifestyle in Rethymno was better than I ever imagined. Greek food is amazing and it surpassed my expectations. Simple meals which smell and taste like a dream! Always go to the restaurants where you see Greeks dining. That's how you can recognize the best local spots. 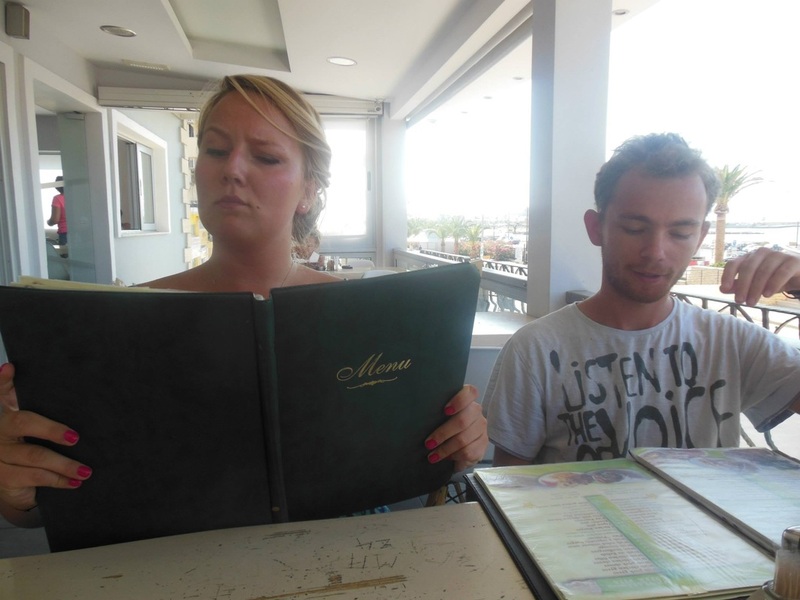 Traveling around the island of Crete was simple and not expensive at all. We were almost always hitchhiking. It’s not hard to stop a car, but it will help if you speak any Greek. People in Rethymno are kind; I made a lot of friends with whom I still keep in touch. When I first arrived, searching for a flat was difficult. All newspaper ads were in Greek and the landlords often don't speak English. It is useful if you have a Greek friend to assist you with finding an aparment. Rental prices are more or less the same as in Poland, depends on which area you choose to rent an apartment. As for budget, I used my savings and the scholarships I received from the European Union / the University of Krakow. That was enough for me and I did not have to count every penny that I spent. But I had to work hard and save before becoming an Erasmus student. 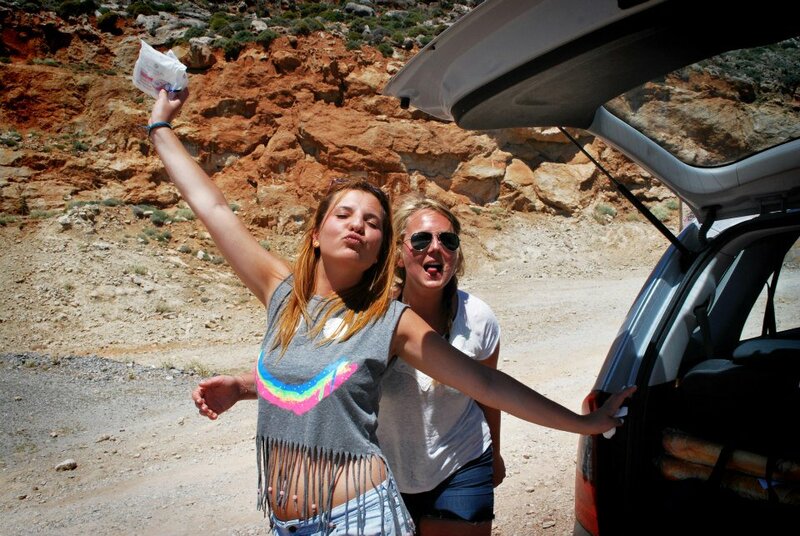 The year that I spent in Rethymno was definitely the most memorable year of my life. I think these few months included everything that an exchange student could wish for. Making new friends with whom you'll share life experiences and good wine. Bathing in the sea at night, lying on the sand and stargazing. Simple things worth living for. These moments are fixed in my memory. 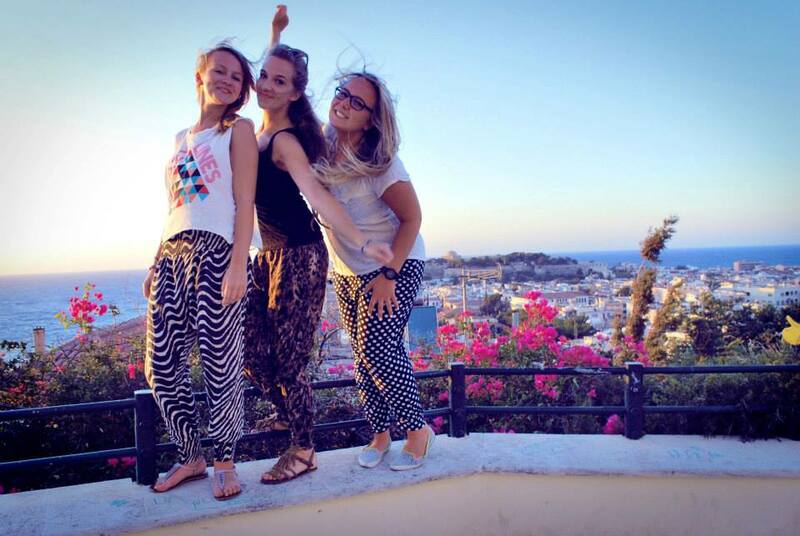 Rest assured that if you choose to be an Erasmus student in Rethymno, you will always find your way back. Because part of your heart will stay there forever. Katarzyna Cieślik wrote this article on behalf of Apartment Old Town. 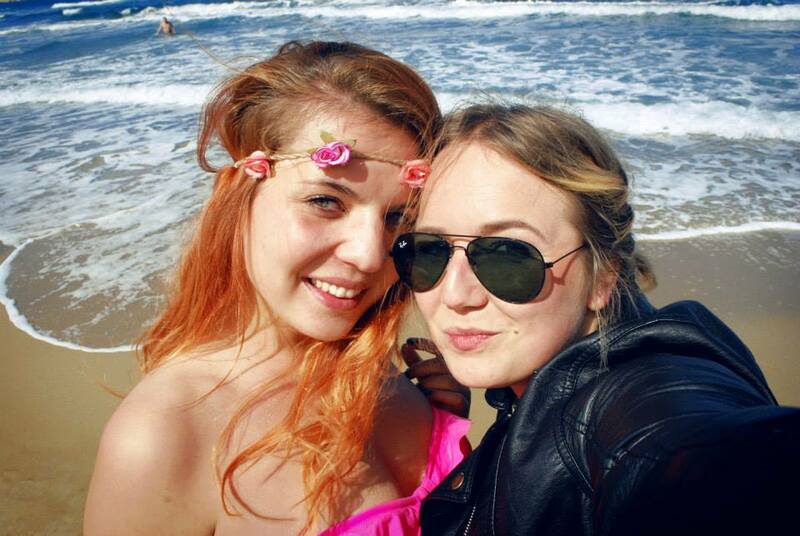 She studied economics in the University of Crete as an Erasmus student and management in Jagiellonian University. She is an avid photographer and has her own blog. This article has been proofread and edited by Valanti. If you travel to Rethymno in March 2016 you can attend the largest carnival in Greece. 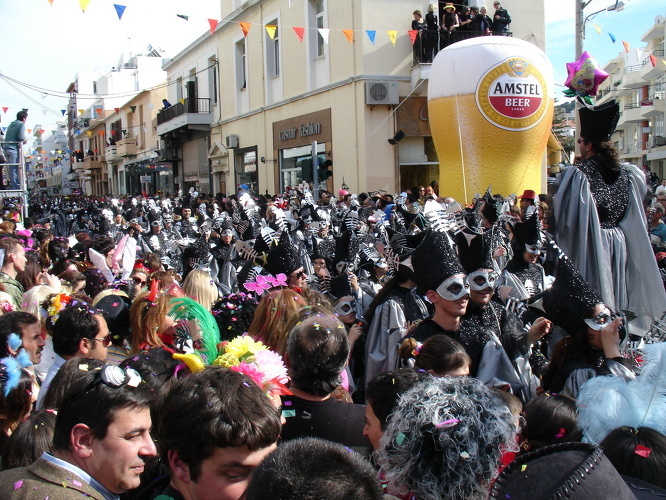 Rethymno Carnival takes place over the three weeks before the beginning of Lent. Why not participate, by dressing up and joining the parade or one of the masked balls? 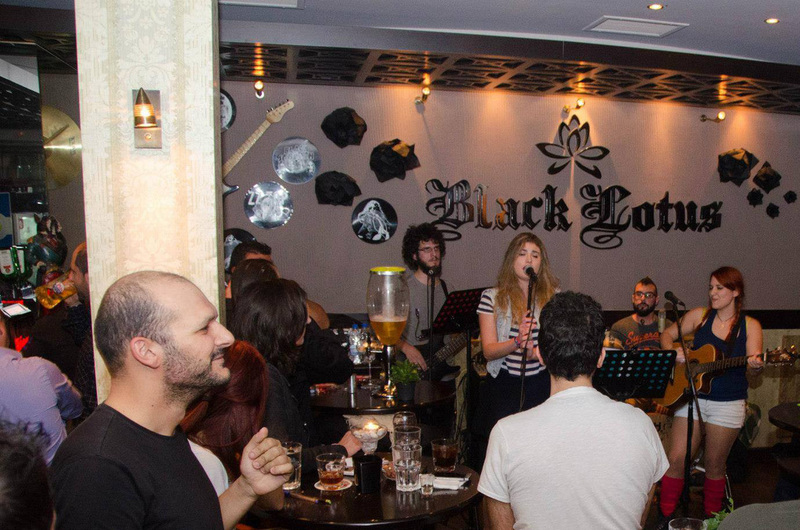 You could also catch one of the many concerts or even participate in the famous Rethymno treasure hunt. 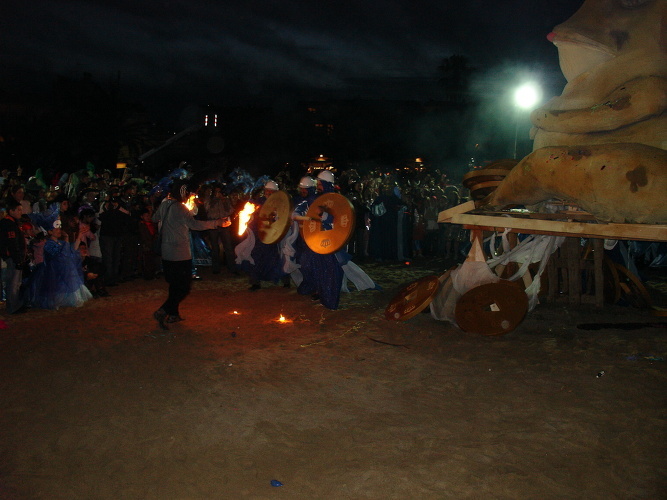 The highlight of the festival takes place on the last weekend with the evening parade on Saturday and the grand parade on Sunday noon. 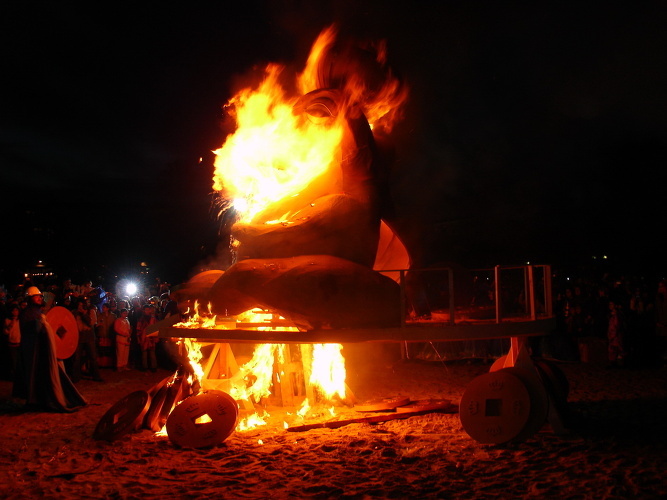 Carnival comes to an end with the burning of King Carnival’s dummy on the beach of Rethymno, east of the old town. The day after the last parade is “Pure Monday” which marks the end of the festivities and the beginning of Lent, an occasion on which everybody is invited to fly kites, eat fish and practice abstinence from meat. That’s why during the carnival Greeks typically consume large amounts of meat: cafés, restaurants and locals set up barbecues on the streets and the stench of grilled meat fills the air everywhere you go. If you join Rethymno Carnival, be prepared for a huge party atmosphere, colorful, noisy, boozy and excessive beyond belief. Although closely linked to the Orthodox tradition, one can find the origins of the "Apokries" (Greek Carnival) way back. In Ancient Greece, they held celebrations in honor of Dionysus, the God of wine and madness, which marked the end of winter. That’s where the modern carnival was inspired from. Clean Monday or “Kathara Deftera” celebrated by flying kites and consumption of seafood. Remember to book your accommodation in advance because during the carnival, it's harder to find a place to stay, especially for the last weekend. Our apartment provides an affordable and comfortable stay for carnival visitors. Romain Picon wrote this article on behalf of Apartment Old Town. Romain is a French travel writer who lives in Greece and visits Crete every year. He has worked as a trekking guide and even composed a unique travel guide for Athens. The article has been proofread and edited by Valanti. Photo of girls by Spyros Papaspyropoulos. 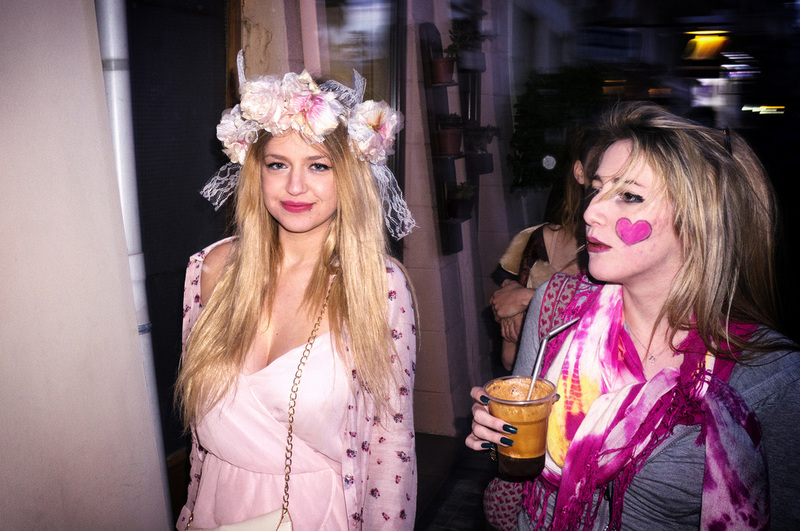 Other photos are from Rethymno Carnival's official Flickr. The winter atmosphere in Rethymno is very relaxing and the weather is usually mild. You can visit the city and it’s attractions without the crowd and the heat of the summer. Most shops and businesses are open and because there are many university students in Rethymno, the city stays alive all year long. 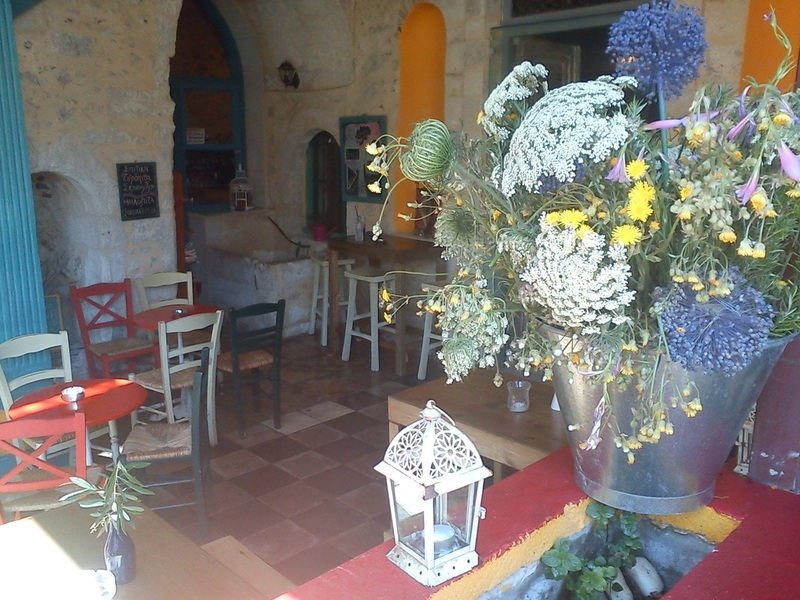 You will always find a taverna open or a “cafénio" to warm you up with a "tsikoudia" and to taste the local "meze". At night, many places fill up with students and locals. It's not rare than someone takes out a “bouzouki” (lute) and starts to play a Greek folk song or, as they call it, "rebetiko". Rethymno offers a lot to see and the old town is well preserved with a lot of Venetian and Ottoman remains still in place. Impossible to miss the Fortezza Castle; it is so large that it can be seen from almost anywhere in town. Other major landmarks of Rethymno are the Venetian Harbour and the Egyptian lighthouse, the old mosque and the Neratzes minaret as well as the Rimondi fountain. Don't miss the archeological museum located in the Venetian Loggia. If you have time you can discover the various churches and mosques scattered around town. The surrounding areas of Rethymno offer a large range of activities, even in the winter. If the sky is clear you can visit the mountain of Psiloriti -the tallest in Crete- for hiking or skiing. Yes, if there is snow it is possible to do cross-country skiing in Crete, some travel agencies propose skiing trips around Psiloriti and the White Mountains (Lefka Ori). Not far from Psiloriti, don't miss the village of Anogia and it’s inhabitants who all wear black, preserving the traditional characteristics of an old Cretan village. Tsikoudia is a strong local beverage containing 40-45% alcohol by volume. Cafénio is a traditional Greek coffee shop. 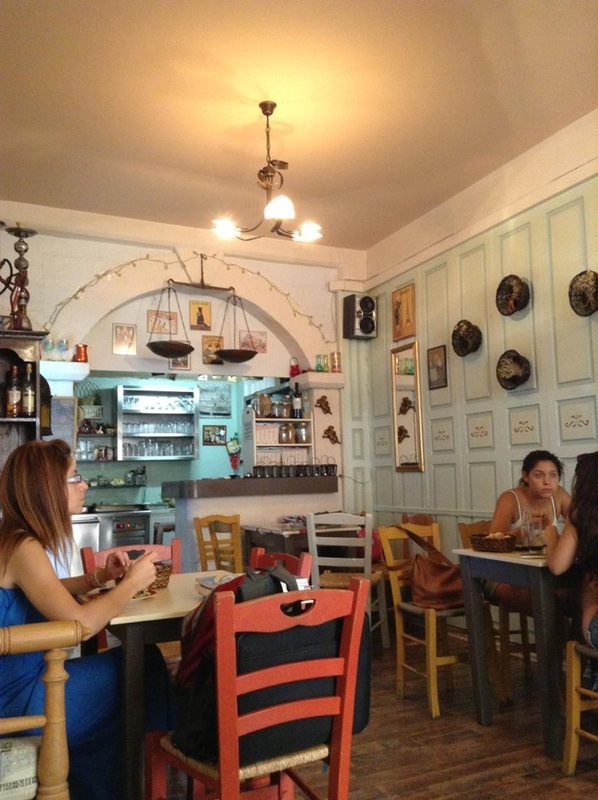 Meze are small plates with local snacks and delicacies served with alcohol. Romain Picon wrote this article on behalf of Rethymno.Rentals. Romain is a French travel writer who lives in Greece and visits Crete every year. He has worked as a trekking guide and even composed a unique travel guide for Athens. This article has been proofread and edited by Valanti.